1. Make a base card from White cardstock trimmed 4.25 x 11 inches and folded in half. 2. Cut watercolor paper 4 x 5.50 inches. Spritz with water and dab on Studio Glaze Blue Hawaii. Move the glaze around with a wet paintbrush until you are happy. Let dry or heat with a heat gun. NOTE: Only watercolor about 2/3 of the paper as the bottom will be covered in another step. 3. 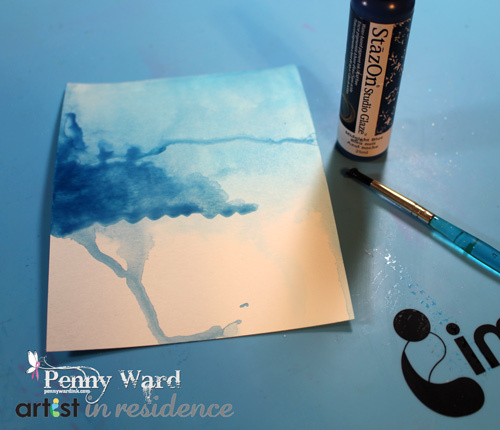 Spritz watercolor paper with water and dab on Studio Glaze Midnight Blue. 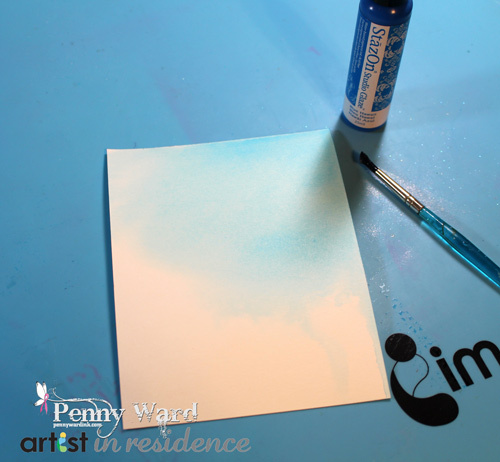 Move glaze around with wet paintbrush. Let dry. 4. 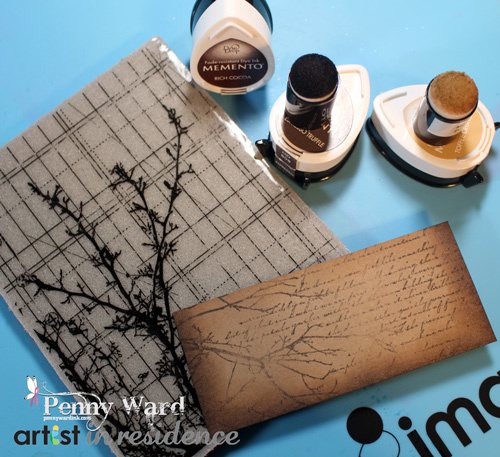 Stamp image with VersaMark ink, heat emboss with White powder. Ink upper left corner of this panel with Memento Rich Cocoa. 5. Cut a 2 x 4 inch piece of Kraft cardstock. Stamp image with Memento Rich Cocoa. Ink around the edges with Memento Toffee Crunch and Memento Espresso Truffle. Adhere to bottom of watercolor paper. 6. With computer and printer, print sentiment, tear edges and wrap around watercolor panel. 7. 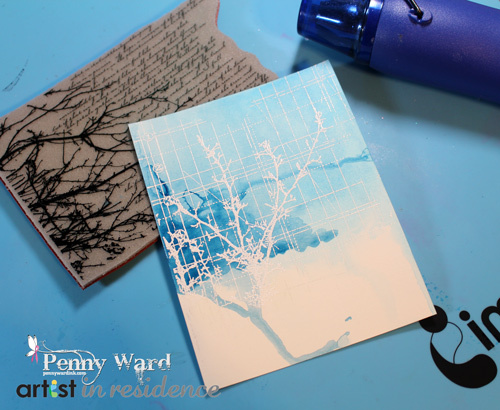 Adhere watercolor panel to base card with favorite glue. Embellish card front with irRESISTible Pico Wedding Dress dots.